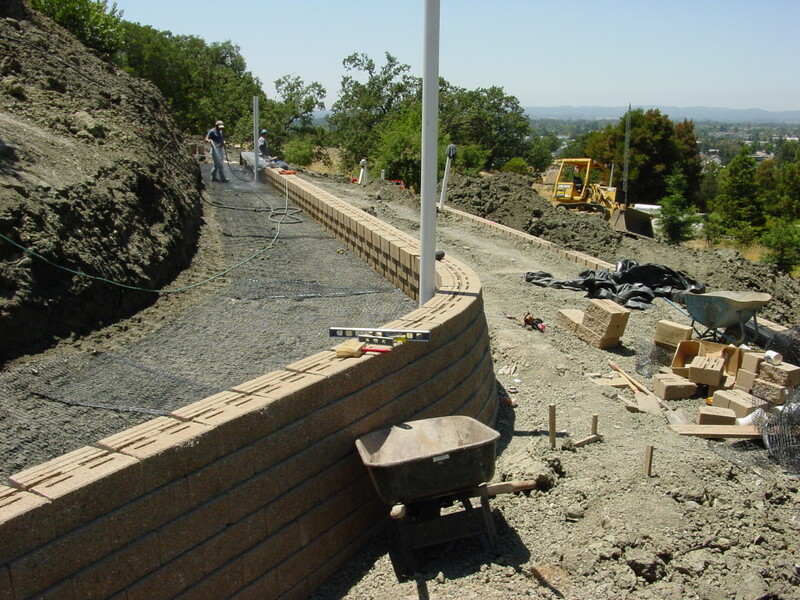 Retaining walls serve to hold back a vertical or near vertical face of soil that would, without adequate retention, cave, slump, or slide to a more natural slope. 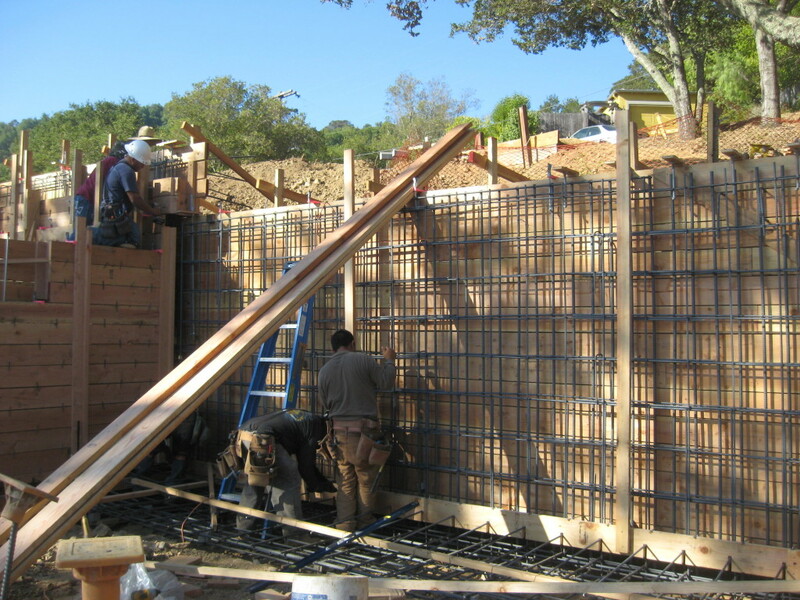 In the Bay Area the more common retaining walls are constructed of poured concrete, shotcrete concrete, or steel or wood beams with pressure-treated timber lagging (the boards). 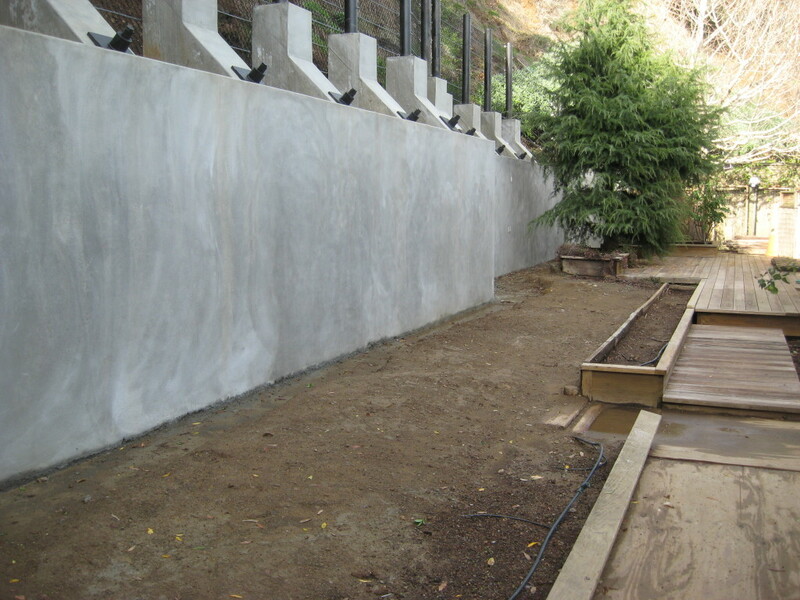 Many retaining walls are built improperly and thus are prone to early failure. 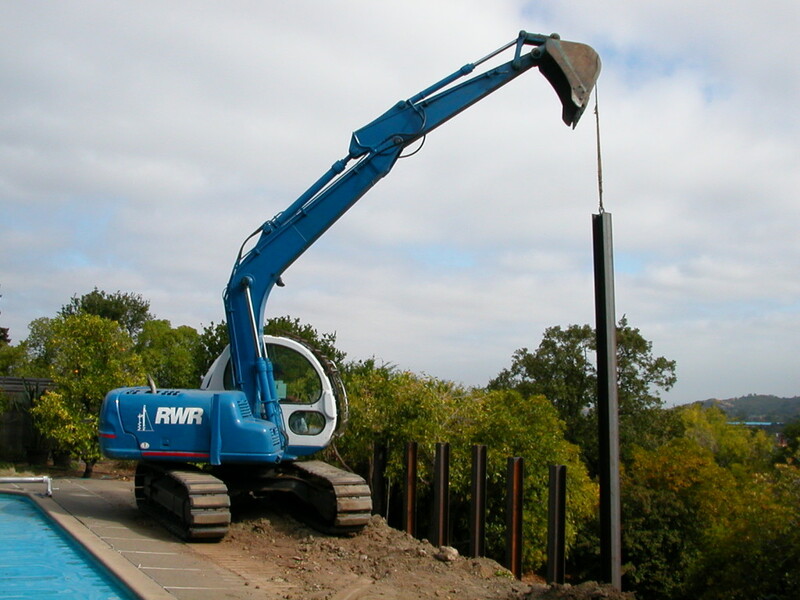 Several of the important design areas commonly overlooked by less experienced contractors are: embedding the piers (posts) deep enough into competent material or properly sizing the footings, and providing adequate drainage behind the wall. 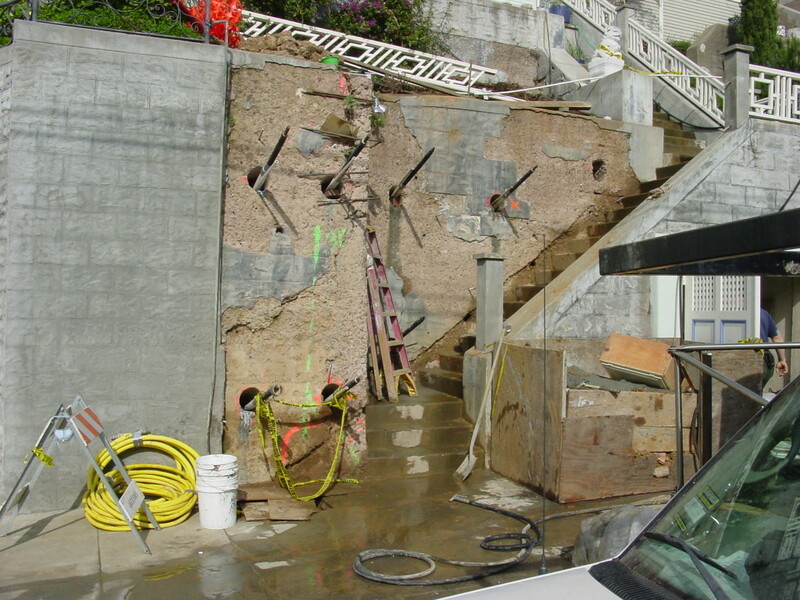 Hydrostatic pressure is a major cause of retaining wall failure and is an absolute requirement. 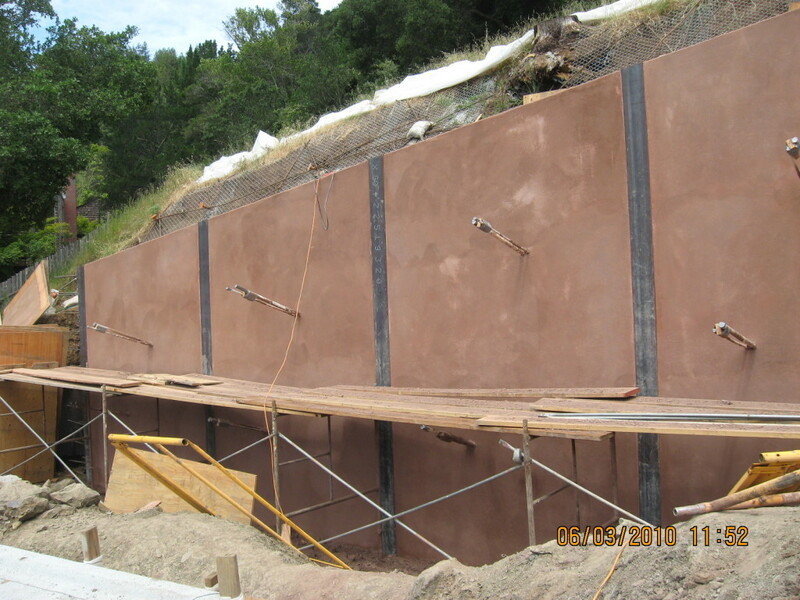 Retaining walls built by RWR do not fail, because RWR walls are constructed using the soundest construction techniques and materials of the highest quality. Bank Stabilization Work required 52 Soil Nail Anchors, 8 Wire Rope Anchors, Drilling, and Proof Testing. Nearly 2000 square feet of slope stabilization netting installed. For a prompt, reliable estimate from our experienced estimator just submit this form, or call us today.